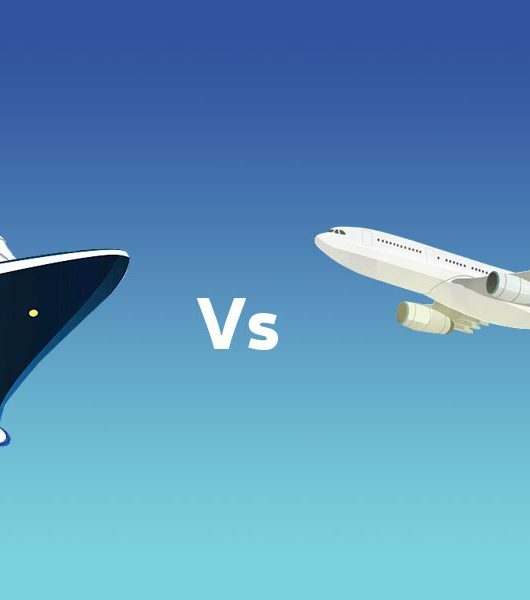 Crazy facts about the largest ship- blog- Just Cruise! Harmony of the seas is the biggest creation in the world of water bodies. 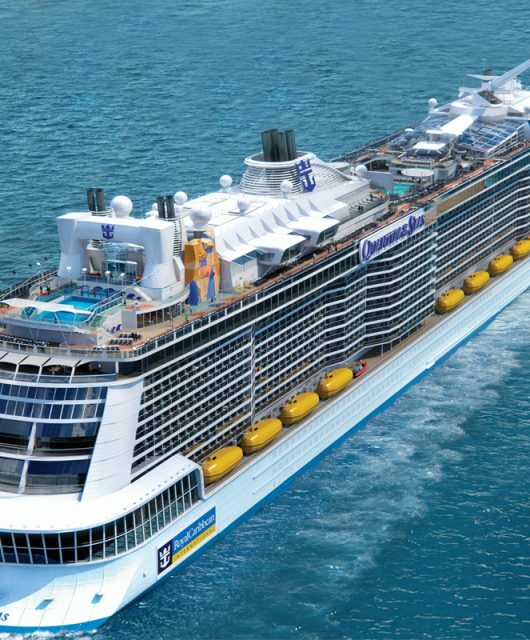 It is the third Oasis-class cruise ship led by the Royal Caribbean after Oasis of the seas and Allure of the seas. This giant passenger ship has a lot to explore such as the Ultimate Abyss which is the tallest slide at sea. Since its launch it has been adding new pages to the history of ships with its incredible facilities and designing. 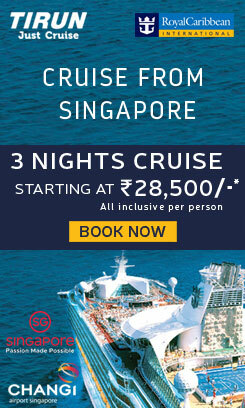 Since it’s gigantic, the energy consumption by the cruise should be high enough. 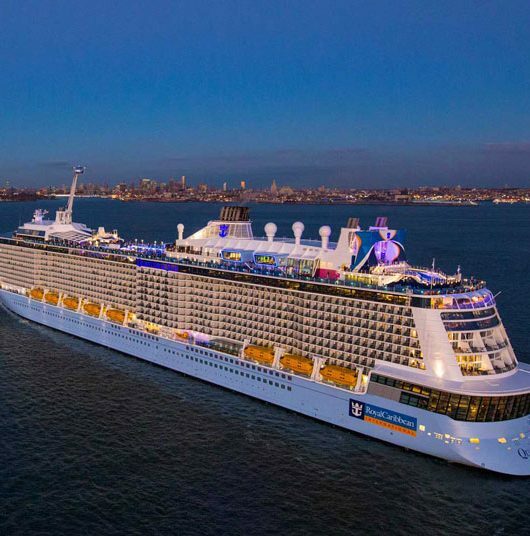 However, the fun fact is that it is actually energy efficient and the fuel consumption on the Royal Caribbean cruise is consumed 7-8% less as the small air bubbles reduce the drag. • The first thing which should be known to everyone is that it has the facility to on board more than 6,000 guests on it and that too without any sort of inconvenience about the space. Each of the guests is equipped with GPS wrist trackers so that they can be tracked in case of missing. • If we consider the speed of the Royal Caribbean cruise, it is blessed with 7500 horsepower thrusters that take up the speed to a maximum level of 22 knots which seems to be outstanding with such a heavy weight. • The mainstay of this ship is that it has seven non-ironically appointed neighbourhoods which are sea spa and fitness centre, central park, royal promenade, boardwalk, entertainment place, youth zone, pool and sports zone. • There are total 2,747 staterooms on Royal Caribbean ship which are spacious enough for the guests gathered for a formal occasion or similar kind of program. 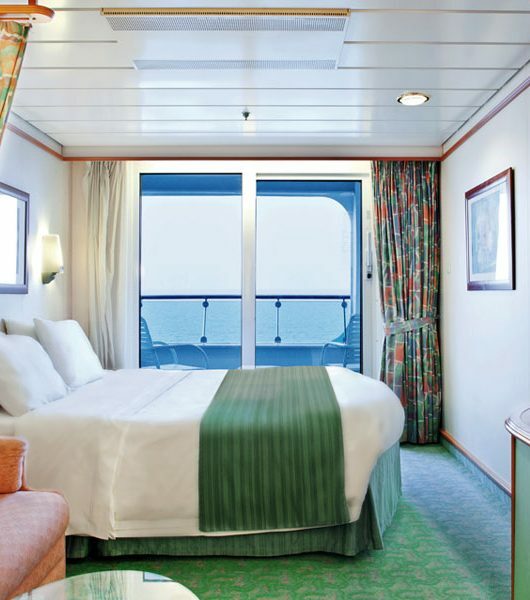 Another important thing about these staterooms is that out of all these 1,768 are through a balcony. 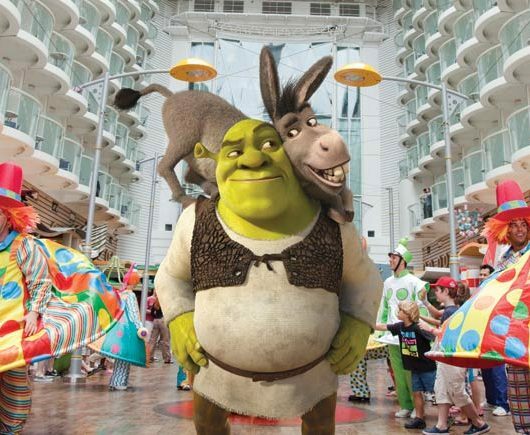 • As there are so many sections for a unique purpose at different levels, so it also consists of total 24 passenger elevators to make it easy for the people on it to travel on the cruise. • Now if we talk about the food facts, the Royal Caribbean deals with 108 catering areas including pantries, galleys, etc. If we consider specifically food only, there are 25 food service areas along with a 24-hour windjammer. The food provided here is of amazing quality and the freshness of it is undoubtedly splendid, the reason behind all this delicious food is the hard work of 20 chefs, 222 cooks and the cleanliness is assured by a staff of culinary cleaning who have complete strength of 102. As the number of people on this cruise is large in number and they also spend so much money for it so the food related amenities they received are remarkable and if you hear the amount of food consumed on this ship it will be difficult to digest that fact such as the average amount of chicken consumed in a week here is 16,000 lbs. • Now comes the interesting and most happening part of the Royal Caribbean ship which is their “Bars”. It has 37 front bars and 26 back of the house one’s, every bar has its own particular staff and unique features related to interior, music, drinks being offered, etc. The service furnishes by these bars are fast and also astonishing, they have total 188 bartenders and servers supervised by 15 experienced bar managers. The amount of liquor consumed on this ship can be calculated from the point that in a week over 10,000 bottles and 8,000 cans of beer is emptied other than the hard drinks like whisky, vodka, etc which are also feast on in high quantity. • As far as the sports is concerned, there is a stellar team of 20 who other than taking care of different playing courts and fields also puts their hard work for managing and collecting 31 surfboards, 900 pit balls, 16 pool cues, 144 badminton shuttlecocks, 192 golf balls, etc. This also shows the variety of games available on this ship. • There are few other things also that are quite funny and hard to believe such as it was constructed out of 5-lakh individual parts, 3,300 miles of electrical cable is used in it, over 1-lakh lbs of ice cubes made every day, the aqua theatre pool of the cruise is 17.9 feet deep which is the deepest and largest one at sea on any of the cruises, over 1.5-lakh gallons of paint used on this and around 10-lakh square feet of carpet is used at this Royal Caribbean cruise. After accounting all these amazing facts about this ship of Royal Caribbean, it is clear that it serves you a great quality of entertainment and enjoyment other than surprising you with various beyond-belief features.